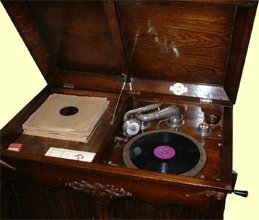 Gilbert Gramophones, the online resource for the things you need & want to know about Gilbert Gramaphones. 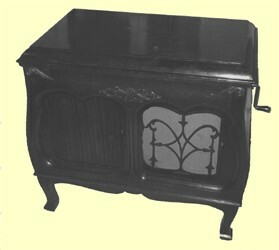 Gilbert Gramophones - The World's Best Music! "The instrument that amazes the World"
CABINET:--Oak Console Model, beautifully finished in "Tambour" cabinet style. Two front Slatted sliding doors to access record storage compartment and to regulate the volume. A handsome piece of furniture. MOTOR:-- The famous Garrard, double spring. 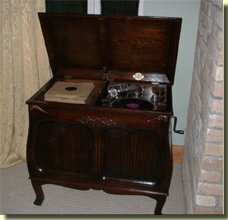 Plays two records with one winding. 12" plush covered turntable. SOUNDBOX:-- Gilbert Tone Reflector, specially designed for use with the new electrical recording process of records. Pro-Pat. No's 2380 and 2381. 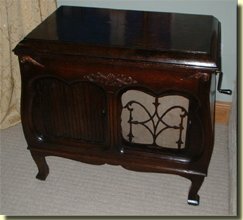 Below are some recent pictures of a Tambour Cabinet Model from my collection.